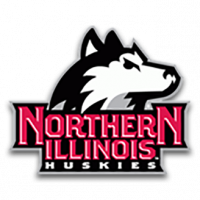 DEKALB, Ill. (AP) – Eugene German had 23 points as Northern Illinois topped Ohio 80-61 in the first round of the Mid-American Conference Tourney on Monday night. German shot 4 for 6 from behind the arc. Dante Thorpe had 18 points for Northern Illinois (16-16). Lacey James added 14 points. Doug Taylor tied a career high with 20 points and had 11 rebounds for the Bobcats (14-17). Jason Carter added 14 points and seven rebounds. Teyvion Kirk had 14 points. Two teenagers were arrested over the weekend in Warren County for car and gun theft charges stemming from Galesburg. There’s another opportunity coming up soon to here in Galesburg to safely get rid of any unused prescription medications. More roadwork is beginning in the area now that Spring seems to have finally sprung.